Channing Tatum has confirmed he is joining the cast of Kingsman: The Golden Circle. The American actor announced via Twitter he will star in the upcoming sequel to Matthew Vaughn’s hit action-comedy Kingsman: The Secret Service. “I’m about to get all up in that Golden Circle,” he tweeted on Wednesday (13Apr16). The original movie, which starred Colin Firth, Samuel L. Jackson, and Taron Egerton, earned more than $35 million (£24 million) when it opened last February (15) against competition from Fifty Shades of Grey. It went on to make almost $415 million (£293 million) worldwide. With a script penned by British-born Matthew and Jane Goldman, the sequel will further chronicle the exploits of Taron’s character Gary ‘Eggsy’ Unwin, an erstwhile London hooligan who has been trained in the art of heroics by a secret spy organisation. In addition, despite their characters’ deaths in the first film, Colin and Edward Holcroft are also returning, though in what capacity remains unknown. They’ll be joined by Game of Thrones star Pedro Pascal, with Hollywood heavyweights Halle Berry and Julianne Moore also reportedly in talks to join the cast. Magic Mike star Channing’s role is also unclear at this stage but the graphic included in his tweet, may suggest he will play an American counterpart of Eggsy, known as the Statesman. Channing’s Gambit movie was delayed last year (15), making room in the 35-year-old actor’s schedule before he reprises his role in Sony’s 23 Jump Street /Men in Black spinoff. 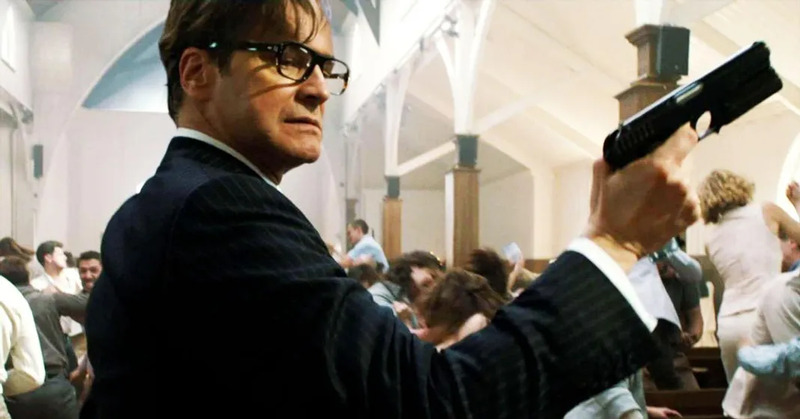 Kingsman: The Golden Circle is set to hit theatres 16 June next year (17).